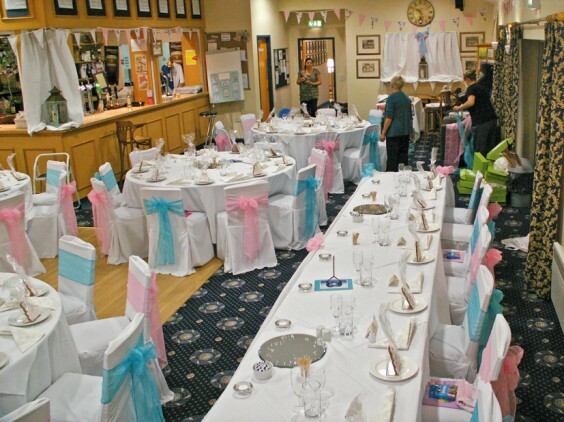 Although it’s primarily associated with cricket and rugby, Five Ways is not just a sports club: the spacious clubhouse – built in 2007 after the original was destroyed by fire – can be hired for all manner of functions from birthday parties and weddings to corporate training days. The venue is popular with local residents, many of whom are social members of the club. Birthday parties, christenings, funerals and wedding receptions (a marquee can be erected outside) have all been hosted in the last year. Businesses hire the clubhouse for meetings and seminars, as do local clubs and societies. There’s a fully stocked bar, which is open whenever the club is open – that’s Saturday, Sunday, Tuesday, Wednesday and Thursday – but private hire on any day can be negotiated. Contact Sue for bookings on 07970 455990. On the sporting front, Five Ways has plenty to offer: the ground incorporates two cricket squares and three rugby pitches, where men, women and juniors participate in both sports. Adult training nights for cricket and rugby take place on Tuesday nights, while the junior sessions for cricket are on Friday evenings and for rugby on Sunday mornings. The club is keen to attract new players – if you are interested in playing rugby then contact Alec Nock on 07736 051752, or call Mark Tovey on 01527 835031if you’d like to play cricket.